Team "50/50" Reuniting in "Jamaica"
With the release of "50/50" still more than two months away, the parties involved are so pleased with the results that they've already gotten the ball rolling on a second feature. Director Jonathan Levine will helm "Jamaica," another script from Will Reiser, with Seth Rogen and Evan Goldberg producing for Mandate Pictures, according to a press release from the studio. Reiser, who based "50/50" on his own battles with cancer, will once again dip into his past for "Jamaica," which is inspired by a trip he took to the small island with his grandmother when he was 14. 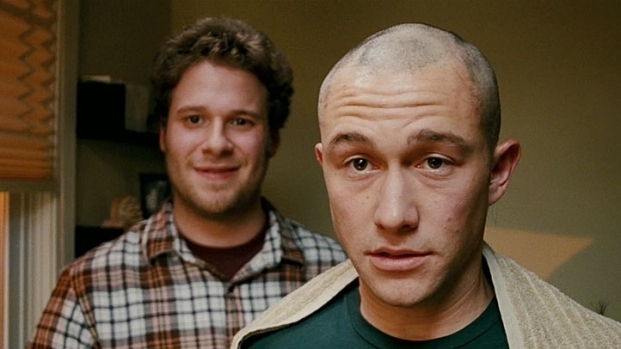 Joseph Gordon-Levitt and Seth Rogen star in this comedy about a man's struggle with cancer. Opens Sept. 30. We've had our eye on "50/50" for a while now, going back to the good old days when it was called "I'm With Cancer," and while we feel the new title is a major downgrade, we much prefer Joseph Gordn-Levitt in the lead instead of James McAvoy. The film, which co-stars Anna Kendrick and Seth Rogen, comes out Sept. 30.